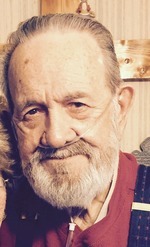 Otis A. Gryder, 90, of Andrews passed away on Thursday, December 14, 2017 in Andrews. Family and friends will gather to celebrate his life at 2:00 PM Tuesday, December 19, 2017 at McNett Funeral Home Chapel with Rev. Les Hall officiating. Cremation is under the personal care of McNett Funeral Home. The family will receive friends on Monday, December 18, 2017 from 4-6 PM at McNett Funeral Home. Please celebrate the life of Otis by visiting www.mcnettfuneralhome.com. Otis was born on January 4, 1927 in Memphis, Tennessee to Guy Carroll and Frances Louise Lemon Gryder. He attended Compton High School in Compton, California. Otis served in the Navy in W. W. II and Korean war. He married Jean B. Gryder on November 8, 1945, Jean passed away on January 3, 1990. Otis married Jan Withers Gryder on July 23, 1990 in Las Vegas, Nevada, Jan passed away on April 13, 2014. He enjoyed going bowling, playing golf, archery, and his passion was horseracing. Otis was preceded in death by his parents, his first wife Jean, second wife Jan, a daughter Deborah Sue Jacobson and a brother Carroll W. Gryder. Otis is survived by a daughter, Pamela “Mikey” Farmer of Midland, a son Guy and wife L’Jon Gryder of Orange, Texas; a sister, Frances Je Neanne Hildreth of Palmdale, California; twelve grand children and thirty-two great grandchildren. To send flowers to the family of Otis Gryder, please visit our Heartfelt Sympathies Store.